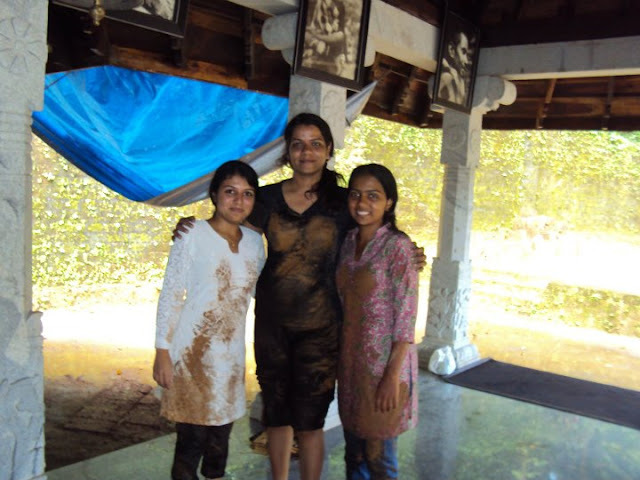 Note: This is one of our regular trip to Kanhangad. Not all personal experiences are shared here unless wished by the one who experience it. Those experiences or emotions or feelings shared in these posts are at reader's discretion. After nother trip to the divine place of Kanhangad and few other places in Kerala and Karnataka back home to share it to all divine souls. As usual, the entire team met at Mangalore Central, 6 were already in the Bangalore train and the rest of 14 people met at Mangalore railway station and boarded the same train to reach Kanhangad. After about 1 hour 15 minutes, we reached Kanhangad station and took 5 autos to the ashram. 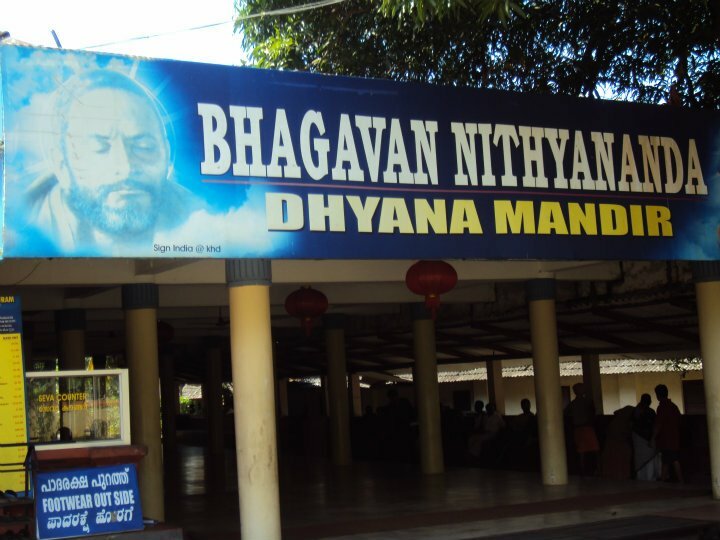 We quickly spread into the ashram rooms and after a quick briefing about what the entire trip is going to be like, we freshened up and soon we all went into the 45 caves that is the major part of the ashram. 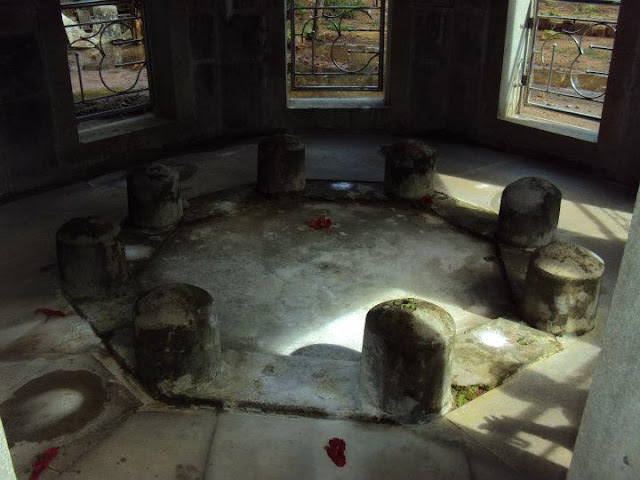 Of these 45 enclosures, a few caves are in which Bade Baba himself meditated. We all sat by turn in that cave for few minutes before spreading out into the cave enclosures of one's choice. After that, as the bells rang for the Nityananda Arati at the Samadhi temple, we left the caves and attended the arati followed by the arati at Swami Jananada Samadhi temple. 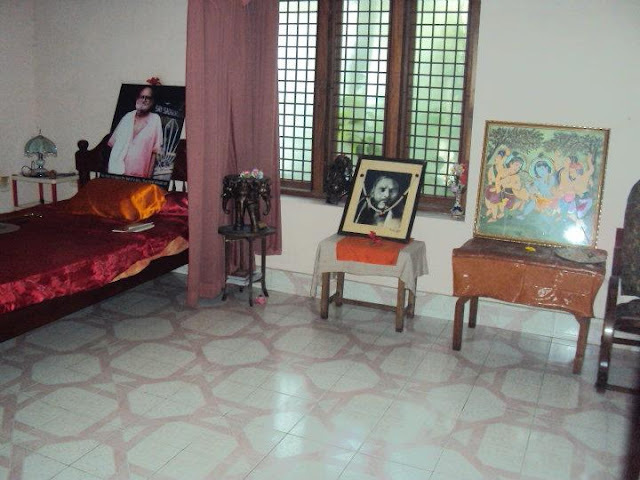 Then, after lunch, we all left to Padiyar Swamiji's house. As all our trips, we made our visit to the round table built by Bade Baba, where he sat and spoke about future events to public that surprised everyone as it appeared in the next day's newspaper. From here is just a few steps to Padiyar Swami's Samadhi and house. All details of these places have been mentioned in the posts related to our earlier visits. 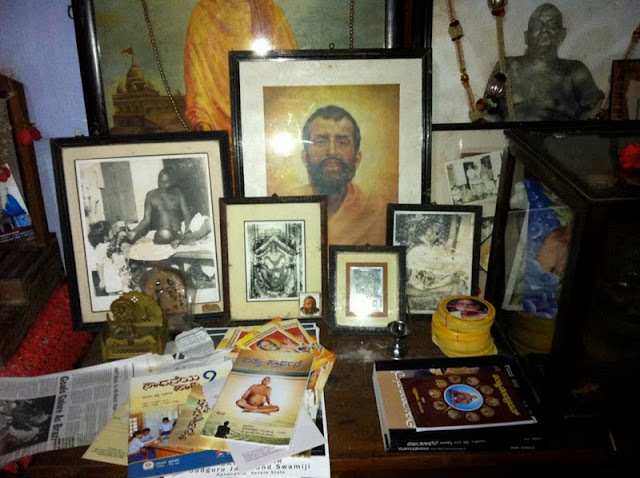 (Click to read) After visiting the samadhi, everyone spread out into different rooms of Swamiji's house, wherever one felt connected to and meditated. 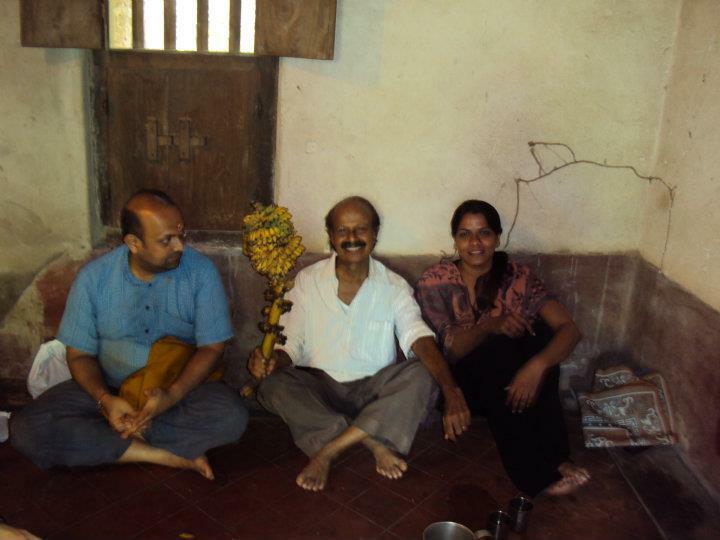 After meditating, we all sat in the hall and talked for sometime, when Ganapathyji made us some tea. After our first this visit, is the first time we had come to Kanhangad on a Friday and that has it's own significance because there is a powerful "Sati" Temple in the ashram, the darshan of whom can only be got on Fridays, since the arati is only done on Fridays. 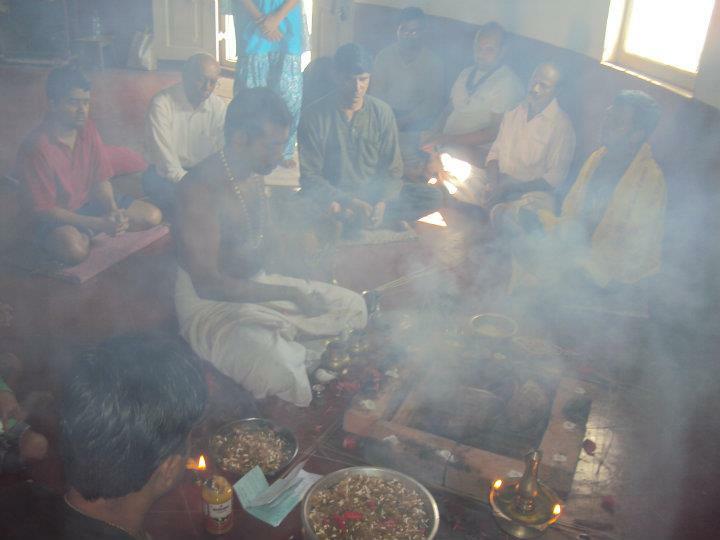 Soon after the ashram aratis we moved towards the Maa Sati temple and look part in the arati. The energy here is high and this could be felt even when the temple used to be closed. 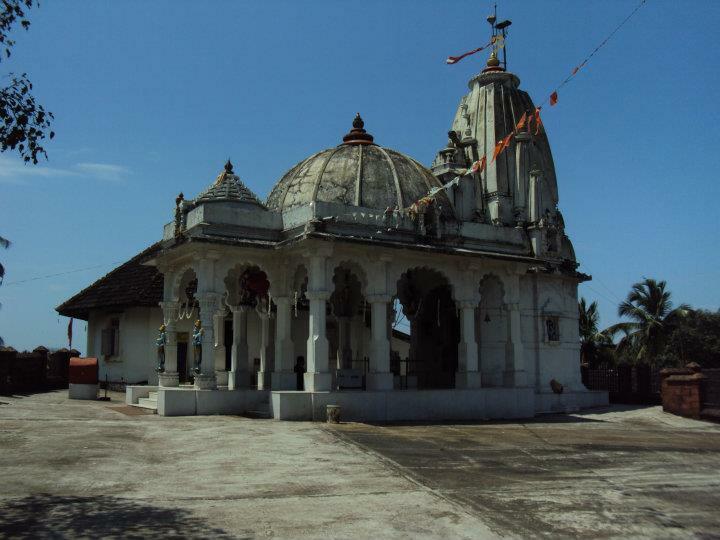 The temple has a huge compound space around it none are allowed to enter into it, but is allowed to have darshan only from out while the arati is going on. 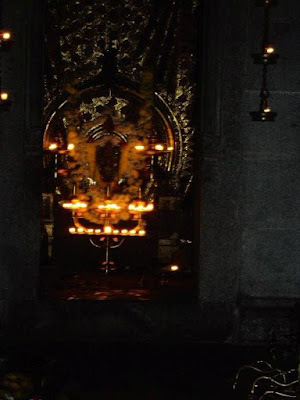 Even inside the temple, there are three doors within which is the idol of Maa (picture on the left) After being in the vicinity and taking the prasad and kumkum, we left towards our rooms to do the Sri Vidya Sadhana. 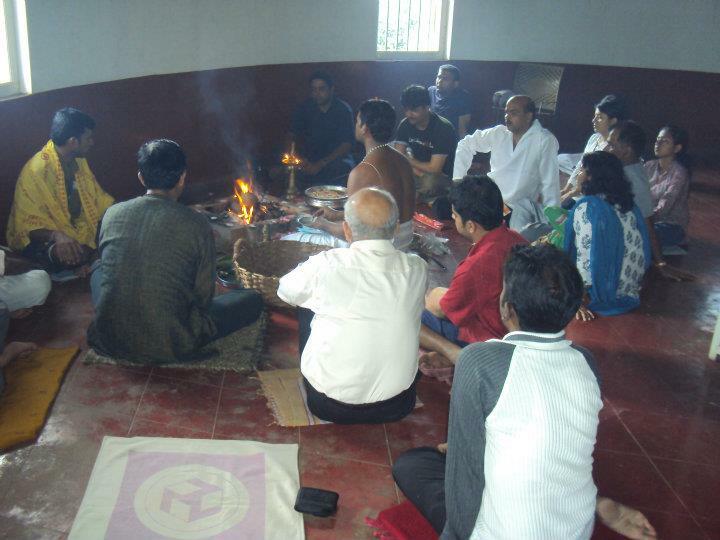 The level 2 groups sat in one room while level 1 group did sadhana in the other room. 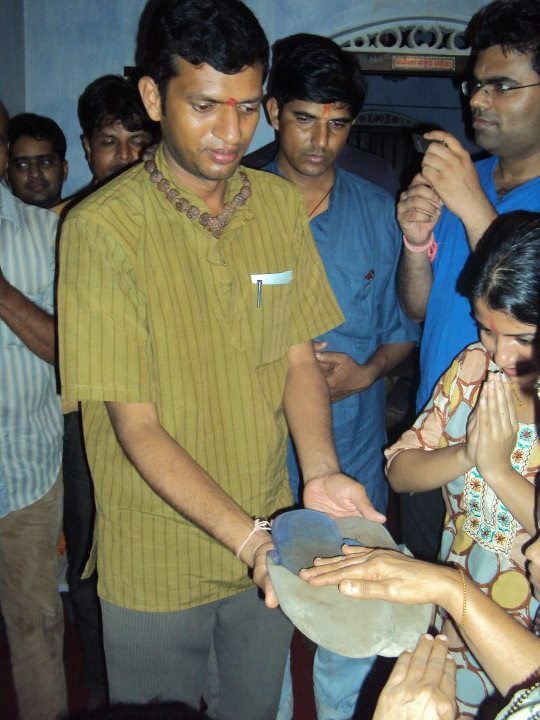 It was almost midnight and we had to sleep early as we had to get up early next morning at 4 a.m. for the abhishekham. 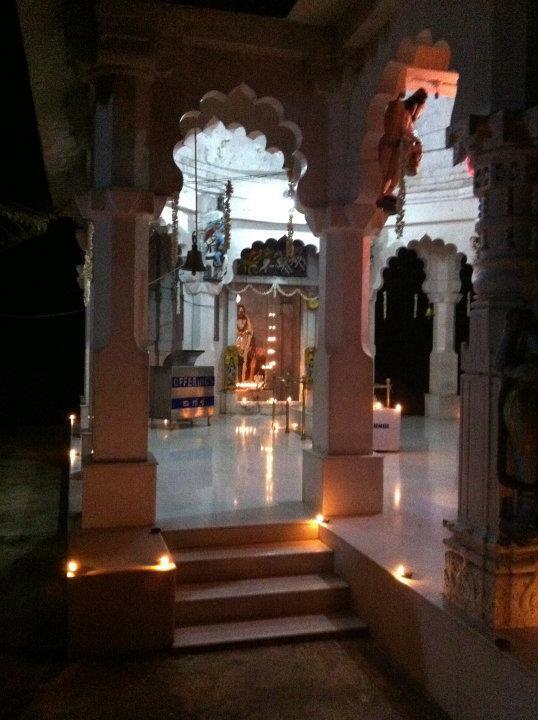 The next morning we all were up at the Samadhi temple at 5 a.m. and all had a divine time with the rose water and milk abhishekham of Bade Baba. 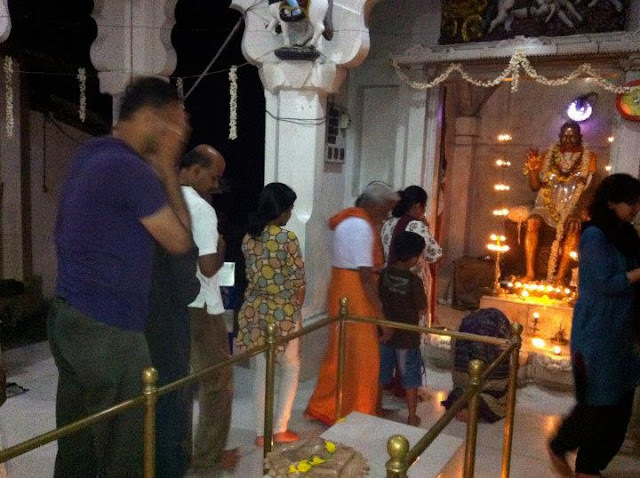 This is the only time one gets to enter the shrine and actually touch Bade Baba's idol. 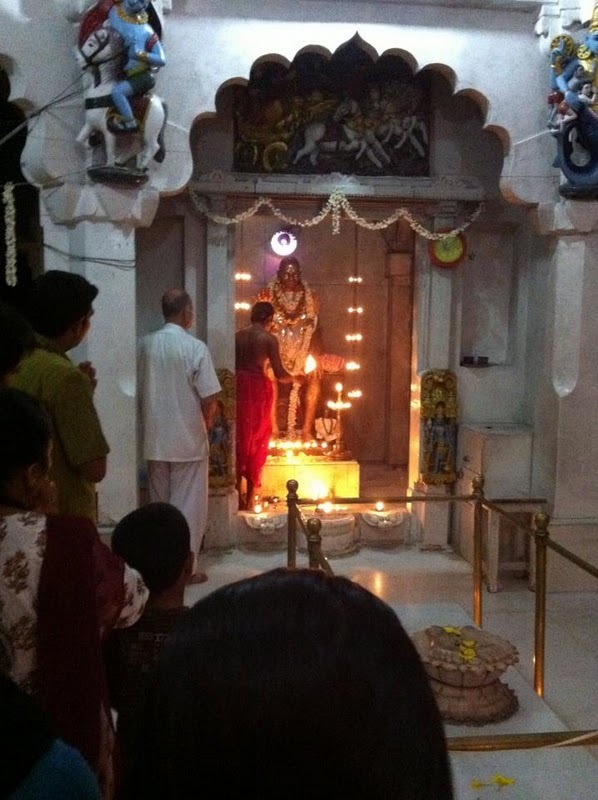 If one is connected at this moment of abhishekam one could experience his divine grace in any form. 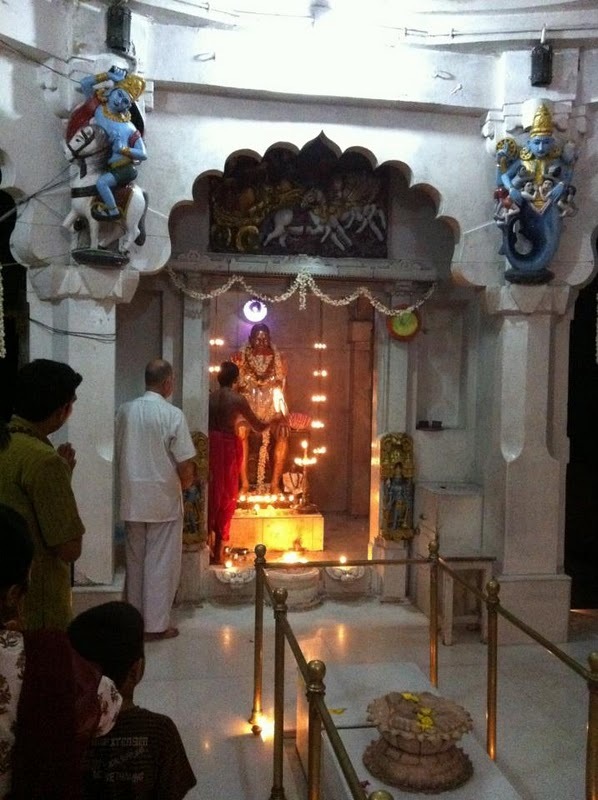 We also did abhishekham for Swami Janananda Swami's idol in the temple below. Since there was enough time between breakfast and havan, some moved into the caves to meditate. Then, after breakfast, we sat at the temple below and spent a few moments talking and then moved up for the Mruthunjaya and Ganapathy Homam. The homams lasted for about 2 hours and after this as scheduled, we left for Guruvan, the forest in which were Bade Baba's tapas caves. 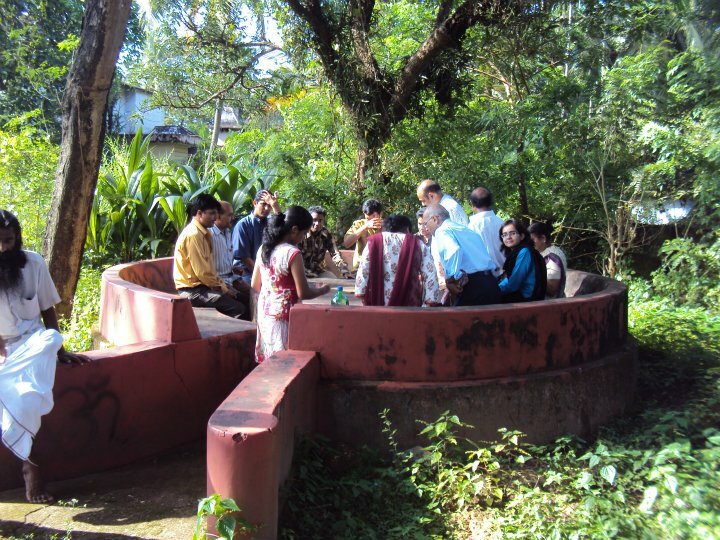 The ashtasiddhi lingas now with a shed constructed over it. 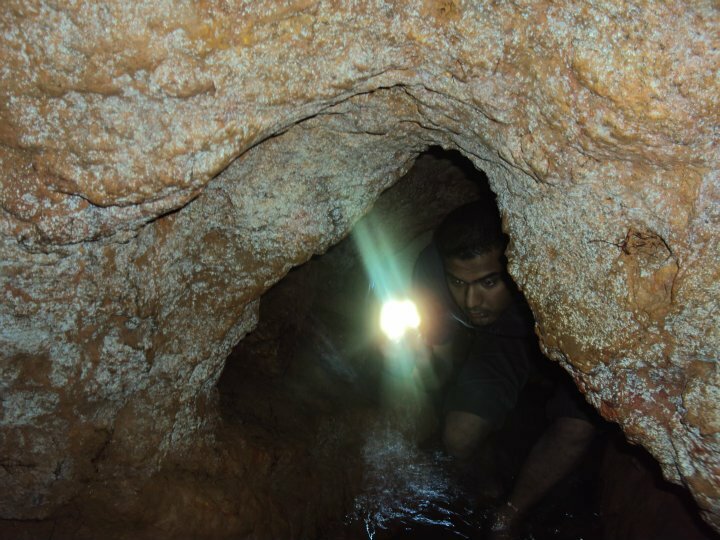 Everyone explored the caves and had their own experiences to carry back. My experience this time in the cave was just like the same observation i had made in the last post. The cave did look more accommodating this time like it had happened last time. This time were able to crawl in more further into the wet spaces filled with mud, water, spiders, frogs and bats (no bats were visible this time). Interestingly, last time we had reached a space from where we had clicked bats hanging down and that space was not so accomodating last time, but this time many were able to get into that space and sit for a while. 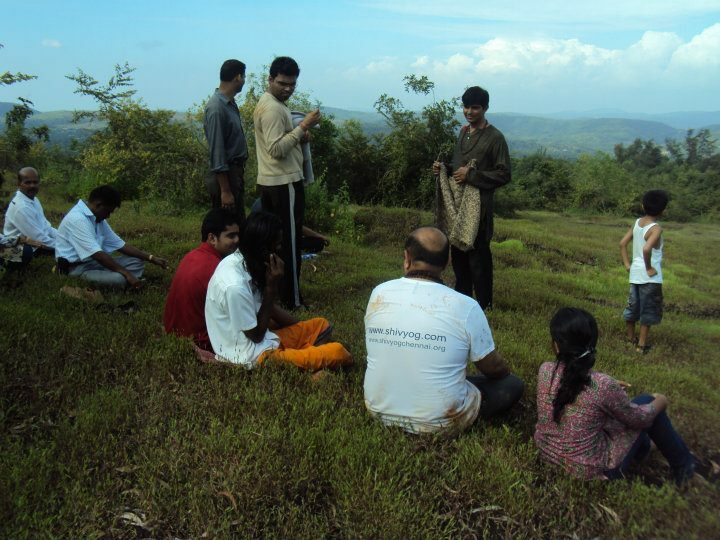 This time was able to shoot the video of this end of the cave with Shruti's help and me and Shruti spent some quality time meditating in here, while all others had left with Swami Vidyanand to explore the hill above. i was keen to capture this in video and this time a close look at the caves showed that more outlets that were not visible last time was visible this time. The mud from the rock seemed to have been giving away. i cannot emphasize more on this mysterious cave. The experiences are just splendid here. More than visiting this physical cave, it is my strongest feeling that one has to enter this cave in total silence, reverence, respect, and total total total awareness to experience. This is an astral world in itself, another dimension existing here. The respect and reverence to this holy cave should be to such an extent that even every step one keeps on any structure here must be with reverence as it is holy. Any form of life one encounters here must be treated and respected divinely. Every drop of water that drips on to oneself must be felt as the nectar of the divine. 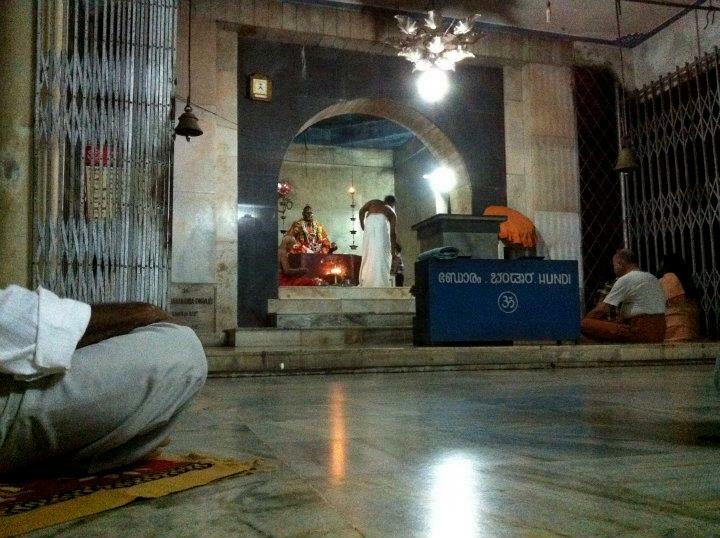 With total humility, respect and love for the divine masters if one enters in here, they are bound to be blessed. Deepest gratitude and salutation to all holy siddhas and Bade Baba for providing us these opportunities to move in the vicinity of this divine place. Pawnesh while in the cave shared that he heard the OM sound in the cave, which he told me he was able to record it. This was heard by none other. Such ways, there are many mystical things that many have seen and experienced, which many wish to keep within themselves every time. i must add that without their blessings this is not possible for no one that we know has had the opportunity of going into these caves to such ends and having had the opportunity to meditate in these caves, as everybody is dreaded with the fear of it's pitch dark existence and the known fact of snakes all around in this forest hill. After everyone cleaned themselves up, and after the arati there, Swami Vidyanand was so kind to make everyone black tea, which he offered all with so much of love. 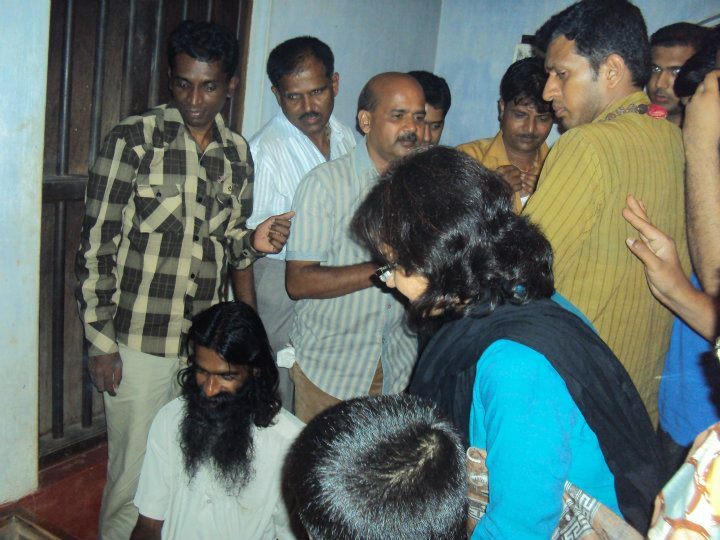 Two of the sadhaks from Mumbai had to leave from here as they had scheduled their visit only for two days. After offering our gratitude to him, we left the place. 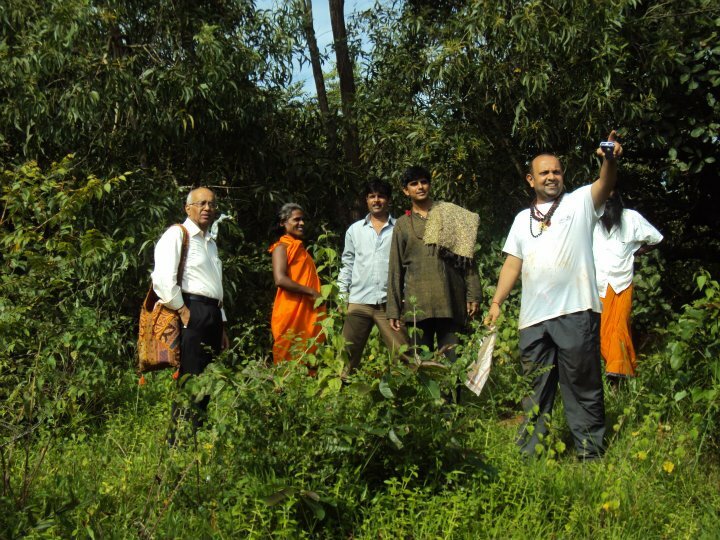 This time we had to wait and walk for sometime until we got autos as we moved back in different groups back to the ashram. We had dinner and then under the huge pipal tree in front of the ashram caves, we all gathered and sung our hearts out for an hour or so. Thus our second day came to an end. 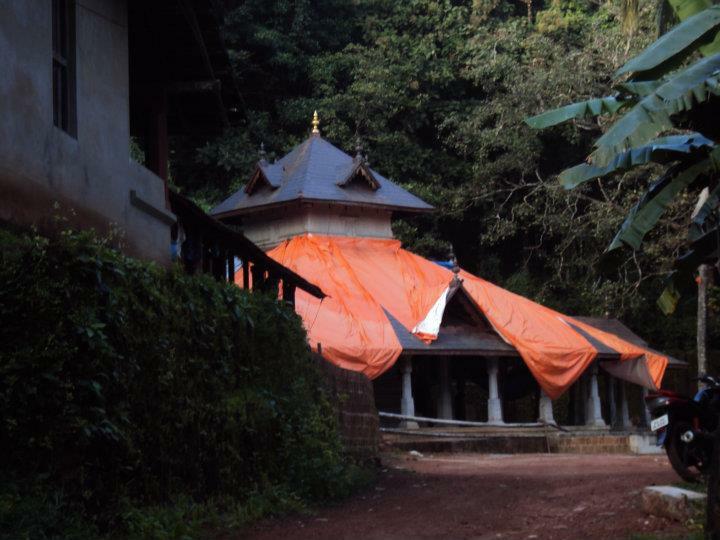 Me and Arjun had planned to leave on the third day to Mookambika in Kollur near Udupi, and three others, Shyam bhai, Pratap, and RamSingh from Goa had planned to leave to Quilandy and Thallasery to meet two avadhuts with Ganapathyji. 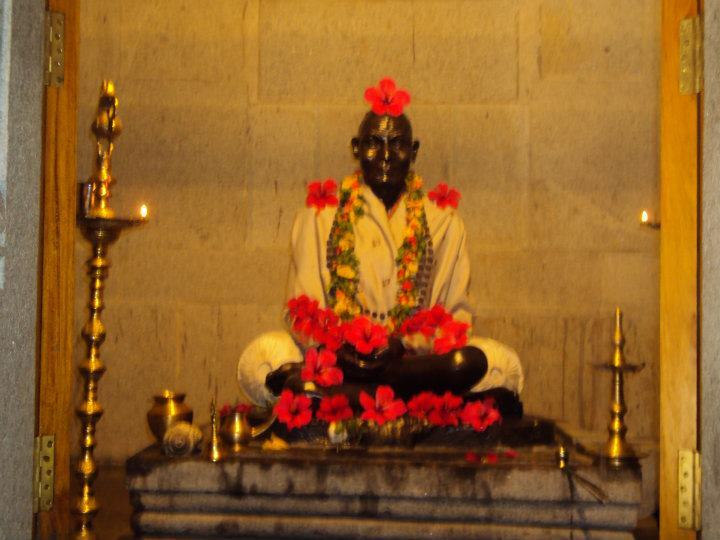 Swami Vijayananda of Bevinkoppa had been giving leads to this visit for a long time. 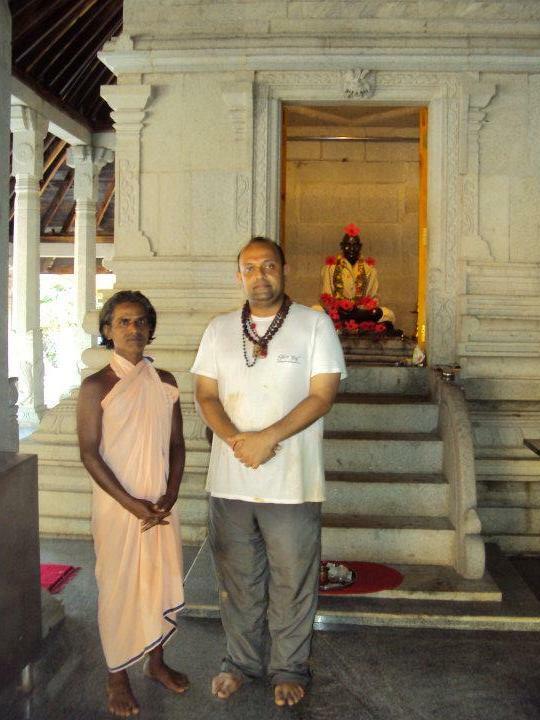 Now just after this sankirtan everything just changed and now it was decided that me and Arjun would also join them to meet the Avdhutas and then we could proceed from there to Mookambika. 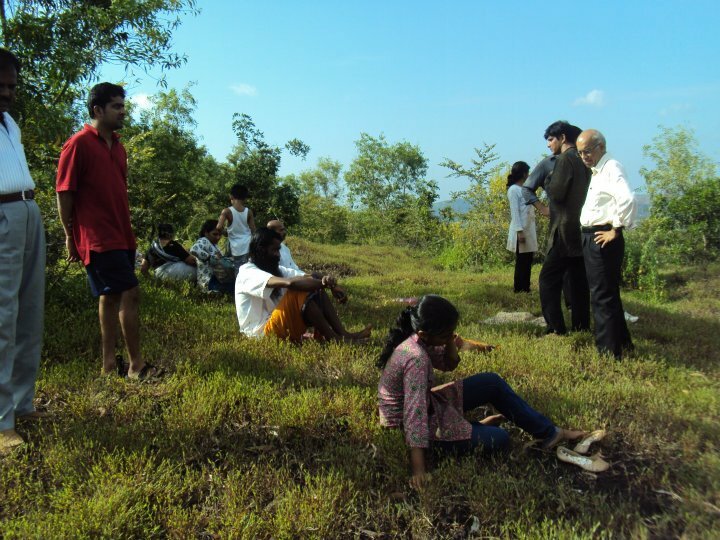 Moreover, the entire Goa team also wished to join us though they had their train booking the next day. 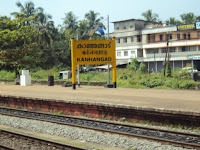 They decided that they would catch the train from Quilandy itself rather than wasting time traveling back to Kanhangad. 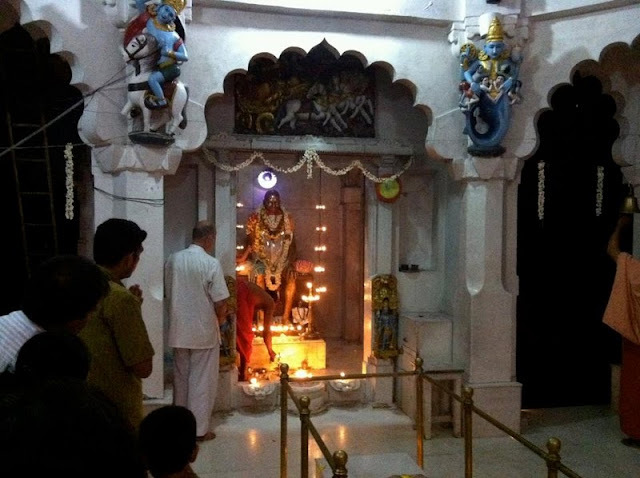 Immediately Ganapathyji called up for a cab and one was fixed to leave next morning at 5 a.m. Initially, i was confused a bit with the sudden and quick change. i had always wanted to visit to these places down South Kerala but just with the least crowd but then wished to just go with the flow as His wish. 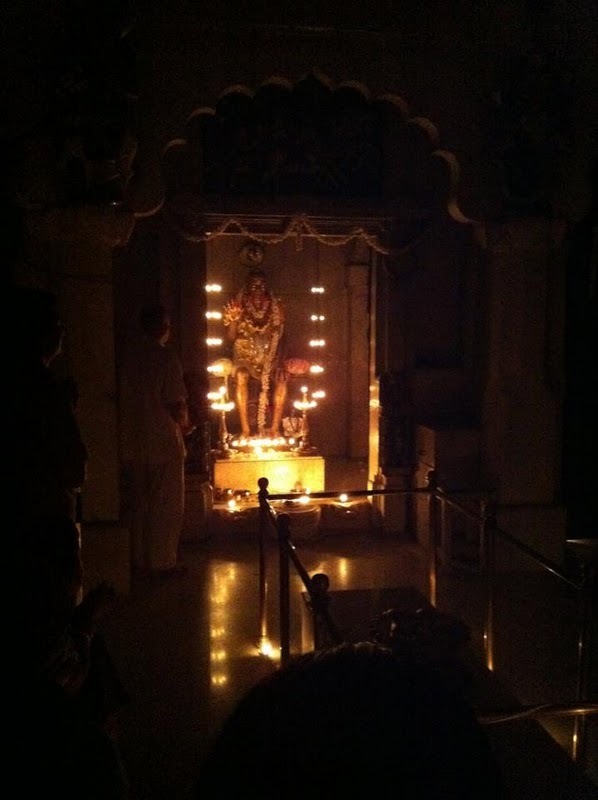 We quickly went to our rooms and did Sri Vidya sadhana and were off to bed. Next morning, waking up at 4 a.m. all were ready by 5:30 a.m. by which time the cab arrived. The rest of the team had their scheduled trains the next day evening and they could not join as the trip down to South would be late. So, they were to stay back at the ashram and continue with their visit to Anand Ashram in Kanhangad, another divine place of grace. However, the team who stayed back preferred going back to Guruvan again the next day before they continued on their respective journeys back home. We all thank Bade Baba and all holy Siddhas for everything. Gratitude.